Professor Dr. Ruzita has served at the IIUM since 1987, and currently, she is a Professor at the Department of Economics, IIUM. 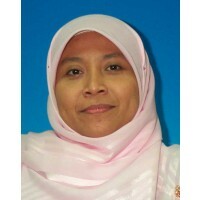 She was Deputy Dean (Academic) of the Kulliyyah of Economics & Management Sciences from 2005 to 2007 and currently, she is the Head of the Disability Services Unit, IIUM. She was the Editor of the IIUM Journal of Economics & Management (currently known as the International Journal of Economics, Management & Accounting) for the periods of 1995-2004 and 2008-2011. Her research interests include disability studies, social economics, development economics, e ... show more conomic integration and economic theory from the Islamic perspective. Her current research projects include a? ?The Formulation and Application of an Integrated Development Index (I-Dex) based on Maqasid al-Sharia? ?ah as a New Comprehensive Approach to Measuring Human Developmenta? ?, funded by the Islamic Research and Training Institute (IRTI), and a? ?Understanding National Implementation of the UN CRPD in Malaysia: A Two-Phased, Mixed Methods Approach,a?? in collaboration with the Institute of Disability & Public Policy, American University, USA, and the University of Malaya. She was presented with the Special Award (for Academic Achievement) for Persons with Disabilities in Conjunction with the International Day for Persons with Disabilities, by the Ministry of Women, Family and Community Development (MWFCD), Malaysia, for the year 2012. She is currently a Member of the National Council of the Persons with Disabilities, under the MWFCD for the period from January 2013 to December 2016. As of August 2014, she was appointed as the Co-Chairman of the Committee on Universal Design and Built Environment of the National Council of the Persons with Disabilities. 16 March 2002 Quality Research Award (Kulliyyah). International Islamic University Malaysia - Kulliyyah level.